Product prices and availability are accurate as of 2019-04-16 11:59:33 UTC and are subject to change. Any price and availability information displayed on http://www.amazon.com/ at the time of purchase will apply to the purchase of this product. ?Stepless Speed?From 3,000 to 20,000 RPM (Revolutions per Minute). 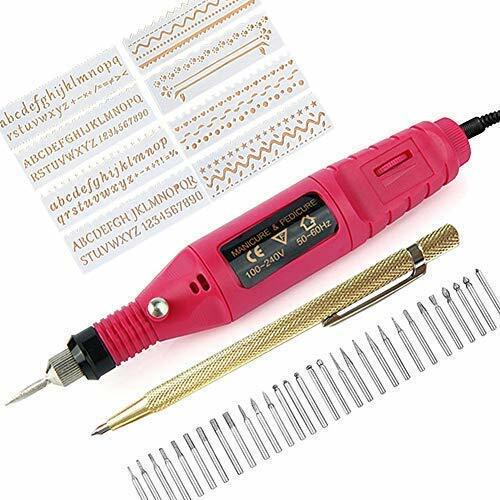 Usually, Low speed for metal / wood, fast speed for glass / ceramic ?Total 30 Bits & 8 Stencils?Includes 10 pointed bits, 5 round bits, 4 jujube-shaped bits, 11 flat bits; 4 graphic stencils, and 4 letter/number stencils. Suits all your needs from fine lines to deep grooves ?Additional Scriber Pen?The Scriber Pen is for extra fine, delicate strokes, great for marking on jewelry, or other tiny objects, like rings, pendants, etc. ?Small & Comfortable Handgrip?Just hold it like holding a pen, lightweight & compact design, letting you perform intricate work smoothly and effortlessly ?Easy to Control the Tool?Easily control the engraving / drawing path. Makes smooth and clear strokes. 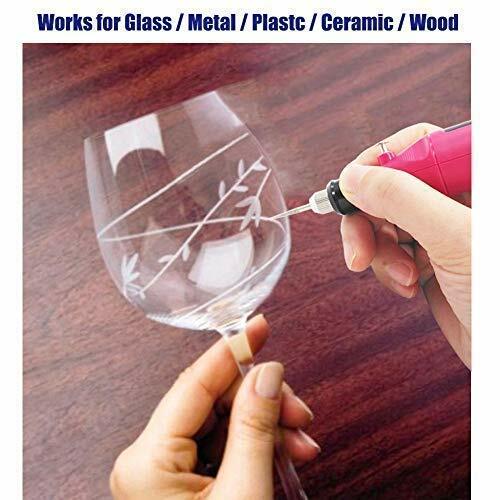 Works for metal, glass, ceramic, plastic, wood, etc.